The morning saw us packing our things together again, it was time to move on. Our destination was Strahan, pronounced ‘strawn’ locally. 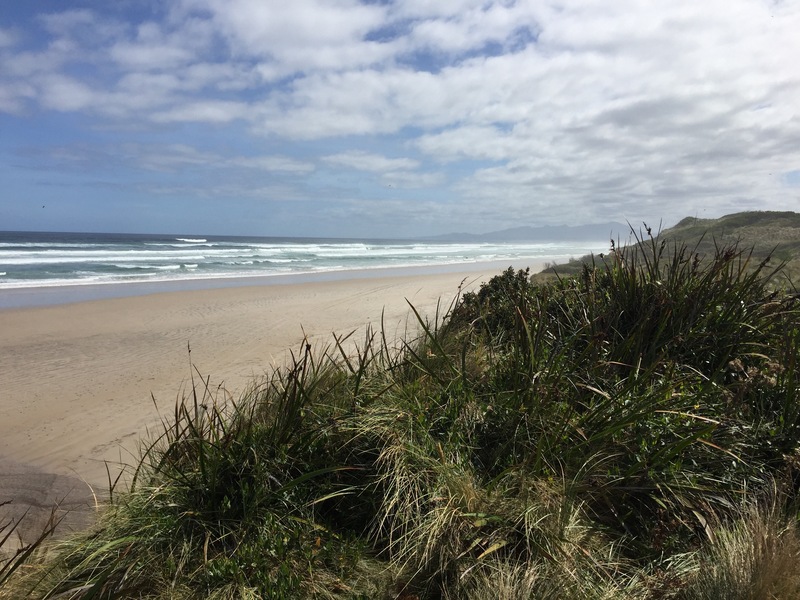 A small town on the west coast, Strahan’s Maquarie Harbour incorporates the infamous Sarah Island, said to be the most horrendous of penal settlements. It was the destination prison for convicts who committed offences while under sentence. More of this later……. 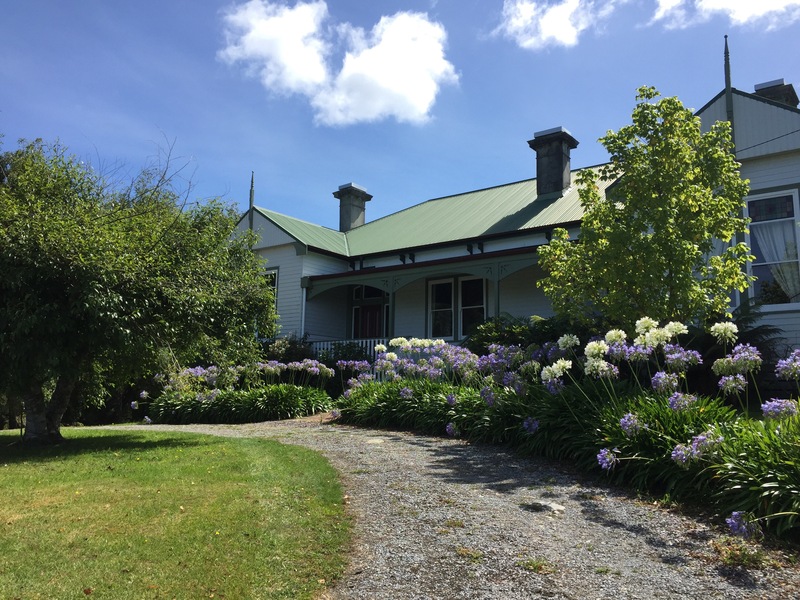 The route to Strahan took us out initially through the rainforest of Table Mountain and then through an extensive mining area. Minerals, tin and even silver was mined in this sparsely populated wilderness. Occasionally there were small, poor settlements. There was little sign of life anywhere. Sunday still seems to be observed as a rest day in Tasmania. We stopped at a town called (rather exotically I had hought) Zeehan. Unfortunately it now shows littlr evidence of its previous rich history. There was no one around. A couple of rusting steam engines indicated communication links to the outside world. A children’s playground looked abandoned from lack of interest. A sign in a shop window seemed to sum the place up. Abandoning thoughts of a drink top we pressed on to Ocean Beach, 35 Km’s in length and the longest beach in Tasmania. The beach was deserted except for some large horsefly types that hastened our decision to find our accommodation. This proved to be an amazing colonial type house on a hill up behind the harbour. 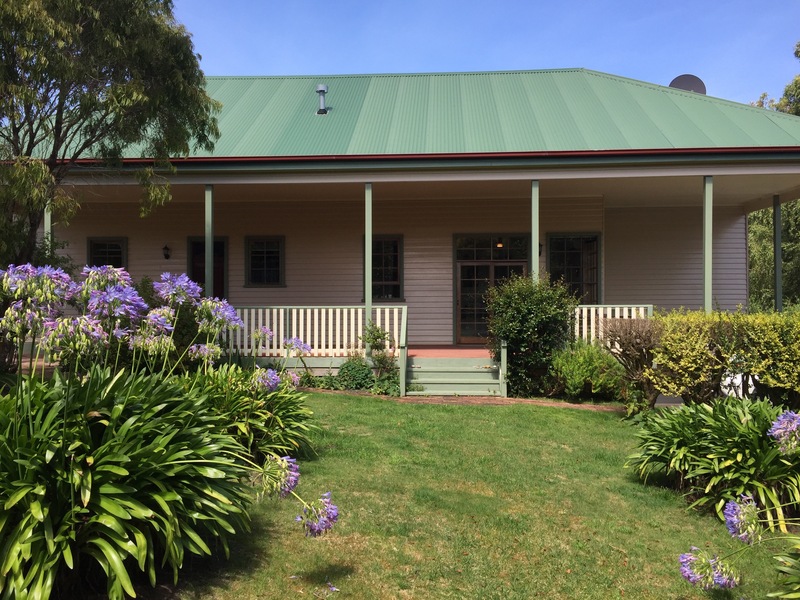 It provided beautiful accommodation, with a veranda both front and rear. Keith and I wandered down to the town to see if a lunch out could be found. It couldn’t! So we turned back up the hill, bought a few provisions for supper and settled down for a lazy afternoon prior to the play that we had heard was being performed at the back of the Quay. 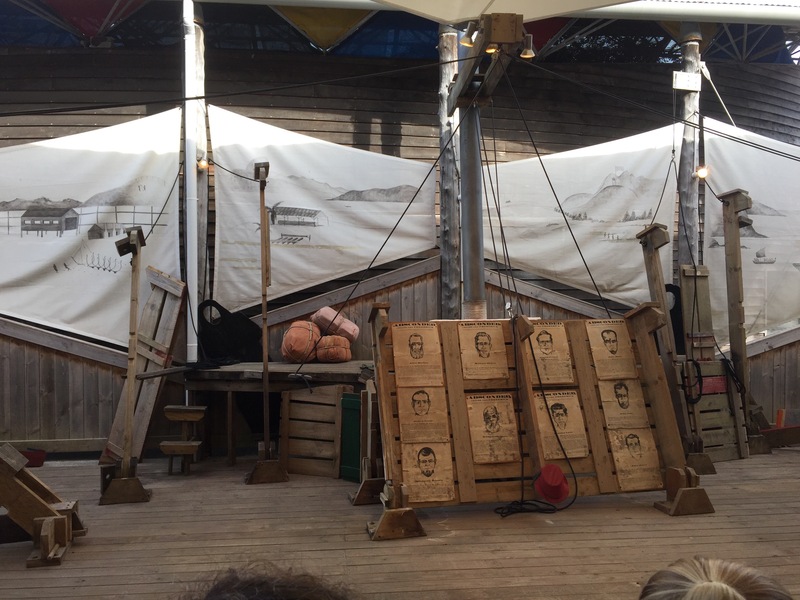 At 5.15 we headed down to take up our seats at the open air theatre kitted out as a ship of the 1800’s. 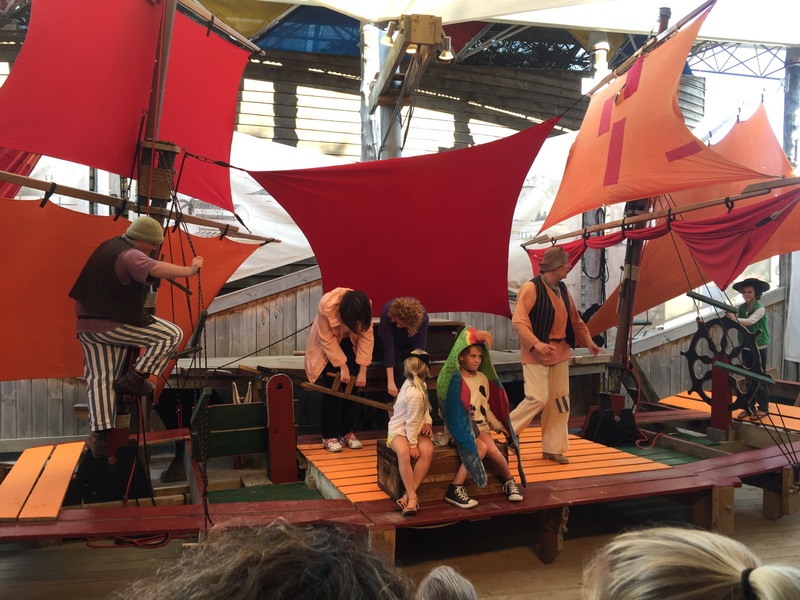 What then ensued was a riotous romp through a famous tale of the Sarah Island Penal Colony involving two actors, much audience participation and a rather incredible piece of scenery which metamorphosised from what looked like a harbour scene to a full scale ship. It was hilarious and in an hour and a half told the tale of convicts who took over the ship they built as part of their slave labour on the island, sailed it to Chile (the next piece of land west of Strahan) where they lived for a year before bing brought back to zhobart for trial. The were condemned to death, but were in the end reprieved on a technicality! It was part pantomime, great ntertainment and educational. 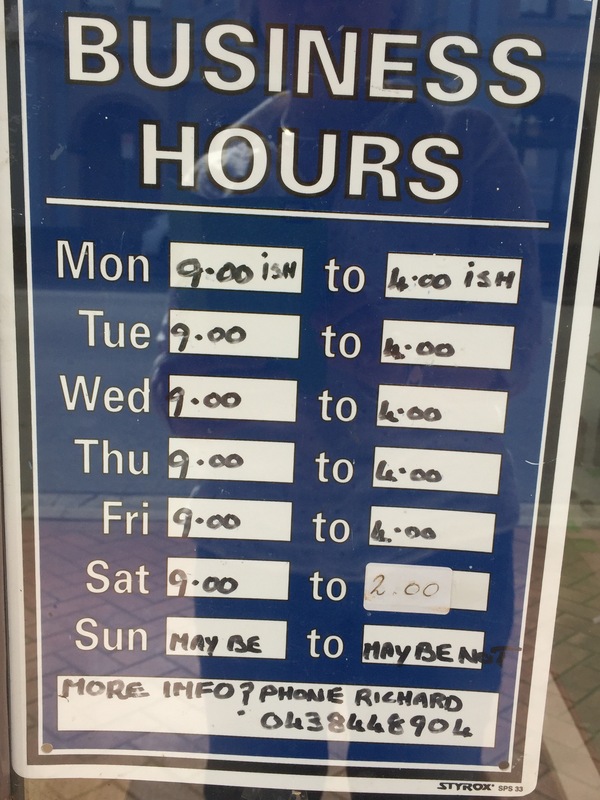 How wonderful is that shop sign; gosh I wish HR worked a similar pattern…..